It's been a while since we posted an update, and wow what a year it has been! 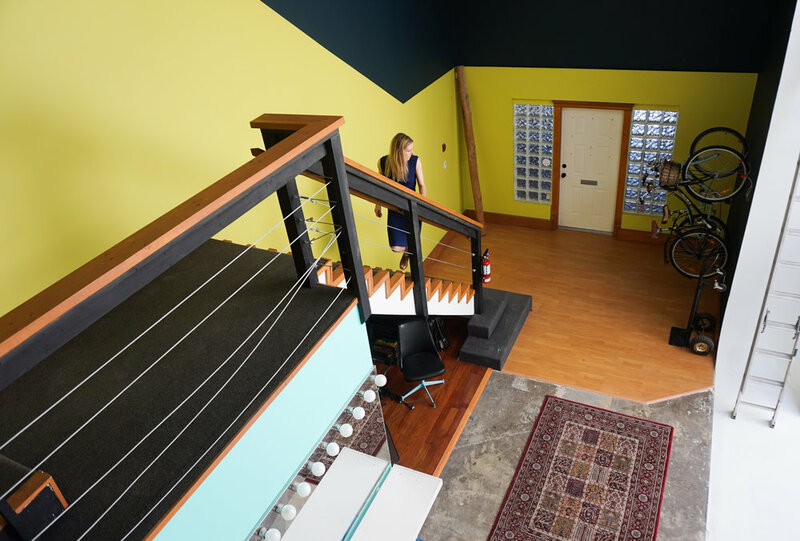 Studio Robazzo has grown and changed in ways we never could have imagined, in spite of some classic small-business turbulence. Here's a brief chronological update of what went down in 2017. The year started strong with two large graphic-oriented projects: the art direction and co-production of the Victoria Fashion Week launch as well as the branding and program design for the 2017 Victoria Film Festival. Our co-founder Christina (who goes by her nickname Tinka) led both of these demanding projects. 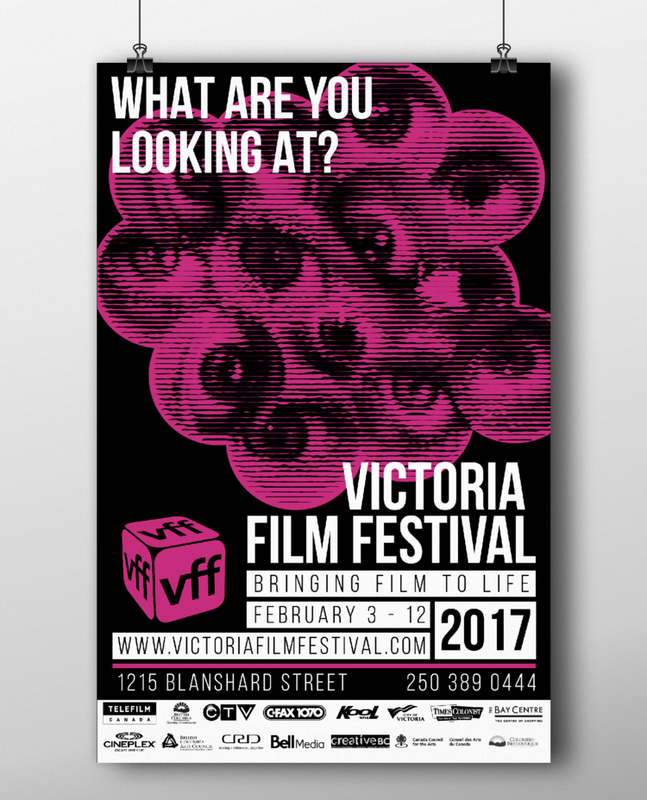 We were delighted to be approached to design the graphics for the 2017 Victoria Film Festival, our most public graphic design project to date. With the theme "What are you looking at?" in mind, Tinka created a composite eyeball image which was then graphically distorted using an algorithm written by Robazzo co-founder Andrew (who specializes in parametric design). This added a digital twist to the unique festival identity, and represents the first graphic/parametric design collaboration to come out of Robazzo. The film festival graphics were spotted all over the city, and the response was very positive! The launch of Victoria Fashion Week was the other defining project of early 2017. While art direction was Robazzo’s official role, our team worked in a number of capacities including graphic design, marketing and social media strategy, planning of supporting events (Fashion Film Screening at the Vic Theatre and a city-wide Flash Sale), website design, and overall brand image. Our hard work resulted in a beautiful event, with 13 local designers and over 40 local models featured on the first-ever VicFW runway. Spring was a transformative time for the Studio. Some of our longest-standing team members moved on to new endeavours: Sarah, one of Robazzo’s original co-founders, opted for a more down-to-earth lifestyle on a permaculture farm, while Maddy, our earliest employee, left us to pursue a degree in Industrial Design at the Ontario College of Art & Design in Toronto (we’re so proud!). We entered into a partnership with Nathalie Down, after working so well together on the Victoria Fashion Week launch, and hired a new set of employees from different parts of the world: Alejandro from Colombia became our production manager; Alan came for a quick internship from architecture school in Berlin; and Hitoshi, an interior designer, joined us all the way from Tokyo. We also hired Wayne, our very first co-op student from the University of Waterloo School of Architecture (where founders Andrew and Tinka also studied). In the middle of all this, we were the proud recipients of a Douglas Magazine 10 to Watch Award—proof that things were looking good in the bigger picture! 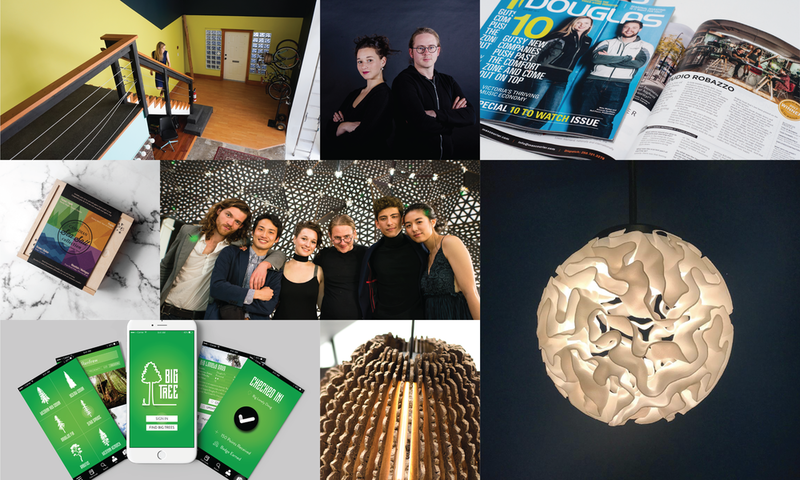 Every year, Douglas Magazine selects 10 young local businesses who are worth keeping an eye on. In 2017, Studio Robazzo was on that coveted list! It was an honour to be recognized this early in our careers, and it brought with it a healthy amount of interest in what we do from Victoria's bustling business world. 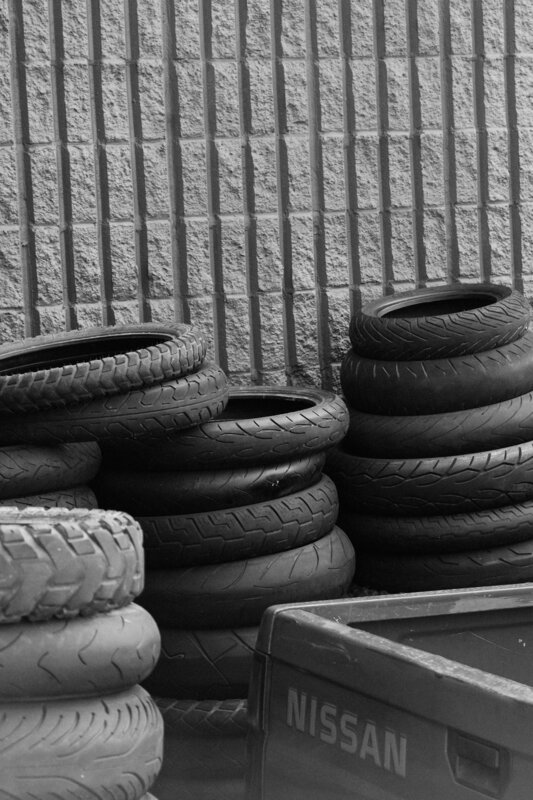 Spring is for cleaning, and clean we did! 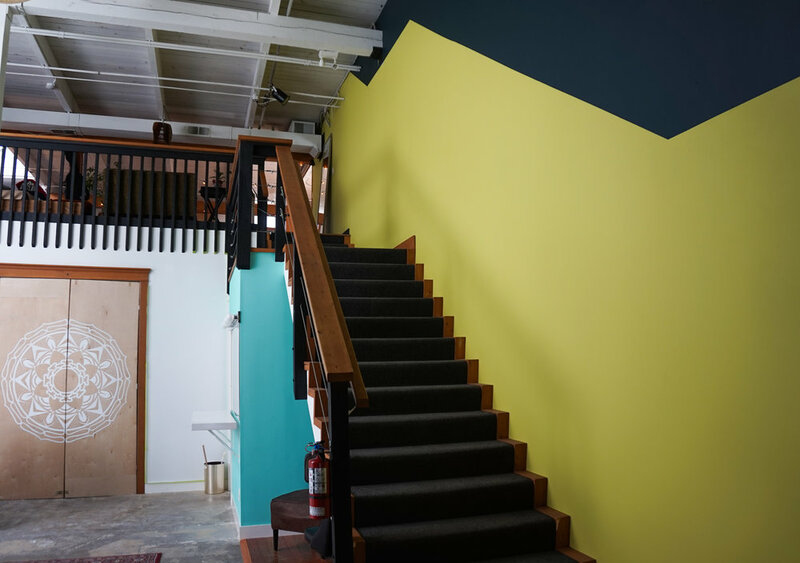 The Studio underwent a 3-week mini renovation, which included everything from the building of a wall to enclose our new wood shop space downstairs to choosing and painting a new colour palette on our biggest walls and rearranging the whole office area. Many days of hard labour and at least 3 dump runs later, the space was fresh and ready for business! Our summer was filled with exciting projects and business strategizing. Robazzo became a member of the local professional networking group Business for Business, and our newly upgraded space became the host location for the local chapter's weekly meetings. We completed some comprehensive graphic design projects, including the design of an app for the Ancient Forest Alliance, packaging design for Vancouver Island Salt Company, and the complete graphics for two government-funded marketing projects, headed up by Maestra Marketing Solutions. We also launched "LowTown" as a brand identity for the forgotten neighbourhood between Chinatown and Rock Bay, where our Studio is located. This project for the Ancient Forest Alliance represents our first complete mobile app design. From logo and colour palette to user interface, we were tasked with creating the complete look & feel for this up-and-coming smartphone app, which helps hiking enthusiasts locate BC's largest and oldest trees. Keep your eyes peeled for the release of the Big Tree App, some time in the near future! To celebrate Canada's sesquicentennial anniversary, the Vancouver Island Salt Company released a special edition salt sampler inspired by Canada's four major terroir (ocean, mountain, prairie and forest). We were asked to design the packaging graphics for this limited edition product, and used colour and geometry to stay within a cohesive theme while exploring the qualities of each distinct landscape. Celebration of the Senses was a comprehensive marketing campaign for the non-profit organization Société de développement économique de la Colombie Britannique (SDECB), orchestrated by local marketing firm Maestra Business Solutions. The concept was based around the 5 senses, and the many different ways they can be experienced in BC's rich artisanal culture. The campaign included a card game, posters, flyers and other print materials as well as digital ads for Instagram, Facebook and Google. Our team designed the graphics and illustrations in line with Discover BC's brand guidelines, including colours and fonts. Also for the SDECB by Maestra, this campaign placed focus on nine BC businesses known as "Économusées". Each is owned and operated by a francophone, and each has its focus on a different artisanal product, from herbs, essential oils and pottery to beer, mead and gin. The main focus of this campaign was a custom designed passport, giving information on each of the Économusées and providing a map for visitors to be able to find each one. Nine stamps were designed, one for each business, and anyone who collected 3 or more stamps was entered to win a cedar chair from Tofino Cedar Furniture. This campaign also extended to the online realm with Instagram, Facebook and Google ads. Our end-of-summer & beginning-of-fall was a whirlwind of creative projects and massive deadlines. Tinka pursued a unique 6-week opportunity in September to be the art director for a locally filmed movie called Fixer Upper 3, starring none other than 90's musical icon Jewel. While she was away from the studio, we welcomed our second UWSA intern, Fion, as well as our first ever office manager, Tia. We introduced a brand name and identity for our Victoria BC neighbourhood (LowTown), acted as a nighttime venue for Rifflandia 10, produced a successful event for Victoria Fashion Week, and launched a new brand for our driftwood products. Victoria has many established neighbourhoods, from Cook St. Village and Fernwood to Vic West and Lower Johnson (LoJo). We discovered, however, that the very neighbourhood we work in, nestled between Chinatown and Rock Bay, has been utterly forgotten. Strewn with car mechanic shops, industrial complexes, and creative entrepreneurs, this neighbourhood has some serious character! The name LowTown describes the geographical dip in Douglas St. between Chatham and Bay. 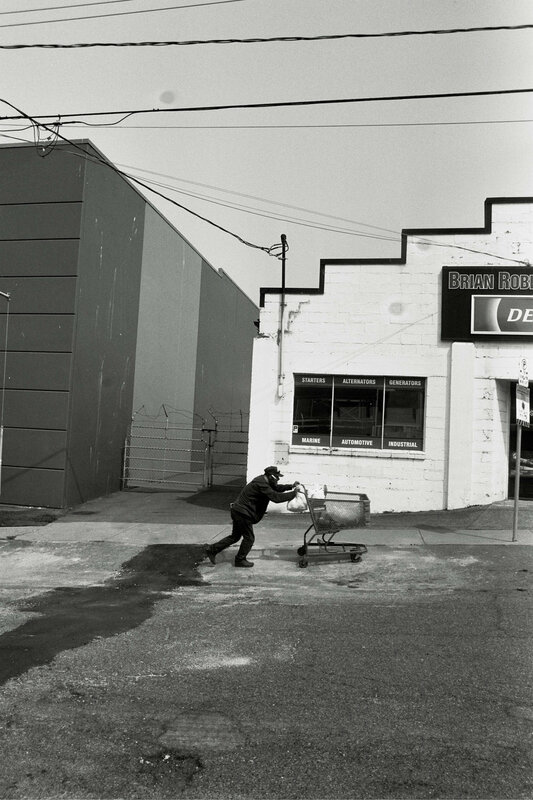 The neighbourhood brand initiative was launched with a photoshoot in collaboration with Victoria Fashion Week, and an ensuing photo exhibition as part of the Integrate Arts Festival complete with LowTown branded merch and zines for sale. This project is still very much in its infant stage, but we invite you to follow along! In October, our team took on an unimaginable project designing, producing and orchestrating Strike Midnight: Victoria’s Premiere Fashion Party—the first event of its kind in Victoria. Inspired by after-hours parties that happen in iconic public spaces in large cities, Strike Midnight offered an exclusive experience for the fashion-forward, the culture lovers, the avant-garde and the cosmopolitan to come together to look spectacular and toast to the fashion scene right here in our “big little city.” We stretched our organizational and creative muscles, pulling off not only the organizational aspects of the event (sponsorship, marketing, models, designers, rentals, etc.) but also the creation of one of the biggest installations we have ever attempted: a 20' x 25' tesselated backdrop designed by Andrew using algorithmic code and built using locally reclaimed laser-cut cardboard. We were thrilled the event was a success and learned so much about what our team is capable of. In a strategic effort to distinguish our high-tech digitally-focussed design work from the artisanal driftwood products we also produce, a fresh new brand was born. Woodrift & Co. represents the salvaged, rustic, natural west-coast products we make using locally salvaged driftwood. The new brand identity is complete with its very own website, Instagram account and Facebook page, and made its physical debut at several of Victoria's busiest Christmas markets in the last months of 2017. We also took this fresh-start opportunity to launch several new engraving options as well as a brand new product: the Driftwood Charcuterie Board, perfect for people who love to host dinner parties! The conclusion of Strike Midnight opened the floodgates to our next round of projects, which had back-to-back deadlines. We were commissioned to decorate The Bay Centre's Christmas tree for the 2017 Festival of Trees benefitting the BC Children's Hospital, which we adorned with 3D printed stilettos and laser-cut ornaments. In the same week, we completed and dropped off our lamp for the One Tree Exhibit at the Robert Bateman Centre, and finished up the 2017 EcoStar Awards. In the midst of this crazy deadline season, we were also featured in Design Week Mexico and Elle Decor Mexico for Andrew's stunning digitally-designed light fixture design, commissioned by Mexico-based lighting company Decimal Made. By far the most publicized project of 2017 to come out of Studio Robazzo is the .010 Lamp, designed by Robazzo co-founder Andrew using differential growth algorithms to mimic the natural structure of coral reefs. This brain-like form is our first foray into organic algorithmic design scripting, and was essentially created in a digital bio-laboratory on Andrew's computer. It was designed for Decimal Made, a lighting company headquartered in Mexico producing 3D printed light fixtures from designers all over the world. Our lamp was featured in Decimal's booth at Design Week Mexico, and even graced the pages of Elle Decor (Mexican Edition)! It's next stop will be at Toronto's Interior Design Show, January 18-21. The lamp is available for purchase here. Back in 2016, we were selected as one of 50 artistic teams to participate in the One Tree Exhibit at The Bateman Centre. We were tasked with creating a unique piece of work using wood from a single tree, which had to be cut down due to safety concerns. Instead of opting for clean wooden slabs, like most woodworking professionals would do, we decided to experiment with using the outer-most layer of the tree, taking advantage of the gnarly natural forms present in its bark. By slicing our piece of wood into very thin sections and 3D printing a set of connectors, we were able to wrap the bark around a central axis, with light peering through between the slices. This project was powered by a light fixture generously lent to us by Decimal Made, and is on display at The Bateman Centre until January 31! When The Bay Centre asked us to design something amazing for their Festival of Trees Christmas tree, we decided to put our technology to good use. Using the classic Jimmy Choo stiletto as reference, Andrew 3D modelled and scripted a perforated shoe, which we then sent to the 3D printer. Each of the 15 stilettos on the tree took 16 hours to print, after which they were spray painted and mounted to a spiralling track. We used spray-painted laser-cut plywood for the other ornaments, which took the shape of shoes, boots and snowflakes. The tree was on display at The Bay Centre for the duration of the 2017 holiday season. Albeit challenging at times, our third year of business brought with it some serious growth, opportunity, and community. We are so grateful for the never-ending love and support we have received from family, friends, clients, mentors and strangers alike, and can't wait to see what 2018 has in store!